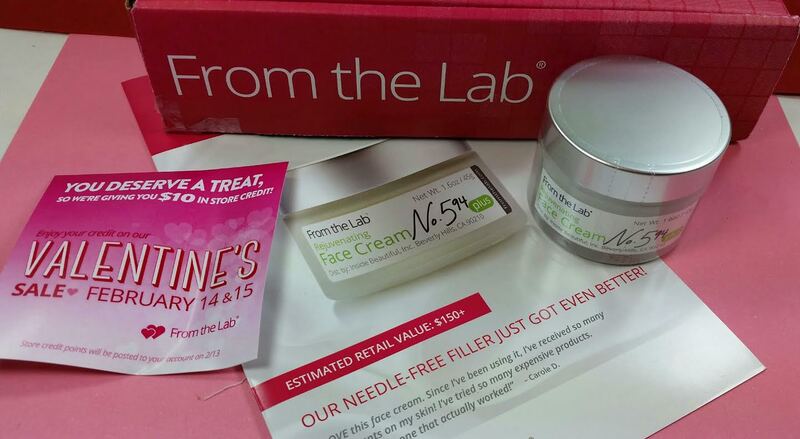 From the Lab has partnered with major cosmetic laboratories around the world and they secure some of the best, most innovative formulations for beauty products before they hit retail shelves. Every product is cruelty free and is free from the major offending ingredients. Each box comes with a card explaining each product and what is new, interesting and different about it. I have to admit to disappointment. Since I subscribed I have received several repeat products. Mostly under the guise of Collections including up to four products. It's nice to get the extra product but it's also hard to justify when a subscription sends the same things out more than once. After two months of no products at all, the February 2015 box arrived. I was hoping for something new and unique after all that time without a box. Instead, it's a reformulated version of an older product. While I love so many of the items I received, it was time for me to cancel. I won't say you shouldn't subscribe because I think they do have some very good products but I'm a little concerned by the fact that for two months in a row there was no product at all. That doesn't bode well, in my opinion. 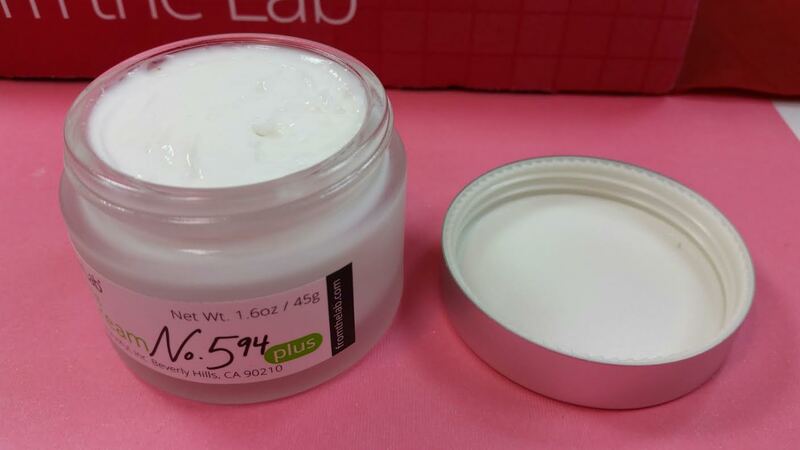 From the Lab Rejuvenating Face Cream No. 594- This cream will visibly firm and smooth skin and in as little as two weeks, soften lines around your mouth and diminishes frown lines. Tamarind Seed improves hydration and acts as a protective, antioxidant shield that draws moisture from the air and controls moisture evaporation. Testing results (by the clinic that sells this) indicate that Tamarind Seed Gum improves hydration levels by 17%, improves elasticity by 36% and hydrates even better than hyaluronic acid. It also contains Neodermyl, an innovative ingredient that reactivates the production of collagen. I have the earlier version of this product, which has similar ingredients (but without the Tamarind Seed Gum) and I haven't used it yet. I should get on it! I'd love to see those results but I realize that results from the lab that creates the product have a high potential for bias. Still... I think I'll start using this one tonight. VERDICT: This might be a very nice face cream and I will try it. I don't really like jar creams because I hate getting product under my fingernails. I usually use a spatula to prevent that but that's also a nuisance. I wish everything could come in a pump! Like I mentioned earlier, I am disappointed at what is essentially a repeat item. For promising new and innovative products, there have been too many repeats over the past months for me. If you would like to subscribe to From the Lab, you can do so here. The products are very nice, good quality and free of phlalates, parabens, sodium laurel sulfates, mineral oils, cruelty-free, etc. But just be aware that there were no boxes for December and January. If you are a new subscriber, you likely won't receive repeats yourself (since you won't have had any of the products) but keep in mind that it seems to be a subscription with finite products. I personally never saw the huge appeal of this subscription considering the cost and the fact that there are no name brand products. I think that for $5 more a month, getting Beauty DNA is way better. While you usually only get one product, the 2 months I received of Beauty DNA I got 2 amazing items that were absolutely perfect for me. With this sub I feel like I'd be getting stuff I wasn't always into. Was there a reason why they didn't have anything come out for 2 months? I do have to agree. Though BeautyDNA has it's own particular issues, repeat products isn't one of them. They said it was because a European lab they were using went on a holiday break but I find that extremely difficult to believe as being the sole reason there were no products for two months. The customer service is very, very good but I think that there has to be something else going on because for several months we received products we'd already gotten before. I know I wasn't the only one unhappy about that. That's not to say that these aren't great products. I can't lie. They *are* good. I love the face primer, the eyelid primer, the lip primer (ooo, i'm sensing a trend!). Their color sticks are gorgeous. I didn't like the hair cleanser and I didn't like the body treatment but you know I hate hair products anyway. I don't particularly care for their green face mask, but its not bad, it didn't break me out or anything-- I just don't like wash off masks much. I LOVED this subscription box for most of 2014. I admire you greatly for sticking with them when times were uncertain!! I liked everything they sent me, and emailed quite a lot with the founders. They are extremely earnest and want to please their customers very sincerely. With that said, if I had received one recycled face cream at the subscription box price, they would hear from me about discontent for the first time. Also, NOTHING is going to live up to the best Korean face creams, and we know that through experience!. Some people lump this sub in with Beauty DNA. Beauty DNA only sent me hugely expensive spa- type tiny creams and essences. I don't think they ever understood my profile which I filled out in minute detail. I wasted money on their tiny bottles. Yes, it was so good while I was new. I had been concerned since the summer about repeated items but after a two month break, only to get the same basic face cream... I was sad! The customer service is definitely stellar and I do like the products but it's time for a break while they regroup, I think. I need to look at the ingredient list for that hair cleanser then and see if I could use it on my face, too! And yes! When I got the green mask I was thinking it reminded me of the Elizavecca mask (only a better color). It's jiggly! BeautyDNA is excellent in theory. I just can't get through full size products fast enough. Mine were huge! We should have traded and then we'd both have been happy! Haha! I wanted tiny serums and got sent huge moisturizers and body scrubs. I have used this cream for 4 days now and I already see a difference in my skin. Like a HUGE difference: texture, fine lines, hydration, everything. Maybe it's just a perfect fit for my particular 44 year old skin, but I was really impressed and bought 3 more jars. I promise I'm not an employee of the company or anything - I just really liked this cream - and I have tried A LOT of creams :)! Wow! That is so good to hear! I'm going to use it today. Do you think it's better than the original or just as good? If you were subscribed then and got the first one, I mean. I didn't get the first one, so I am not sure! But I am so sold on this stuff. I hope they keep it in stock forever, bc I sure wouldn't want to pay full price ;)!